The fire service has a long and proud history of dedication, unselfish sacrifice, and inspired human action. The long and noble tradition of rendering service in the time of need has established a heritage of which the firefighter can be justly proud. As a volunteer firefighter you will be participating in front line firefighting and emergency medical incidents and will most likely be exposed to the hazards normally associated with those responsibilities. Responding to 911 calls to deal with the various emergencies that may occur in the community will prove to be both physically and mentally taxing. Individuals are encouraged to consider this before applying. Must be at least 17 years of age. Maintain a Washington State driver’s license, satisfactory driving record and car insurance. Turn in a completed application and required documentation. Be sure to include a copy of your driver’s license. Comply with the Policies and Standard Operating Procedures of the RFA. Volunteers are eligible for a stipend reimbursement program for attending and responding to emergencies. Volunteers qualify for the Washington State pension plan (Volunteer Firefighter’ Relief and Pension Act). Volunteers qualify for a $50,000 life insurance program. Learn teamwork, responsibility and become a member of the family. Explore the possibilities of a career in firefighting or emergency medicine. Provide a skilled service to their community. Participate in the Department’s social events. For additional information or to apply, please complete the Employment Application on the Forms page, then contact the WBFR main office at (509) 786-3873. Volunteer. Be an Everyday Hero! West Benton Fire Rescue trains firefighter recruits to the standards of IFSAC Firefighter 1, the national entry level for professional departments. This course includes both classroom and practical experience. 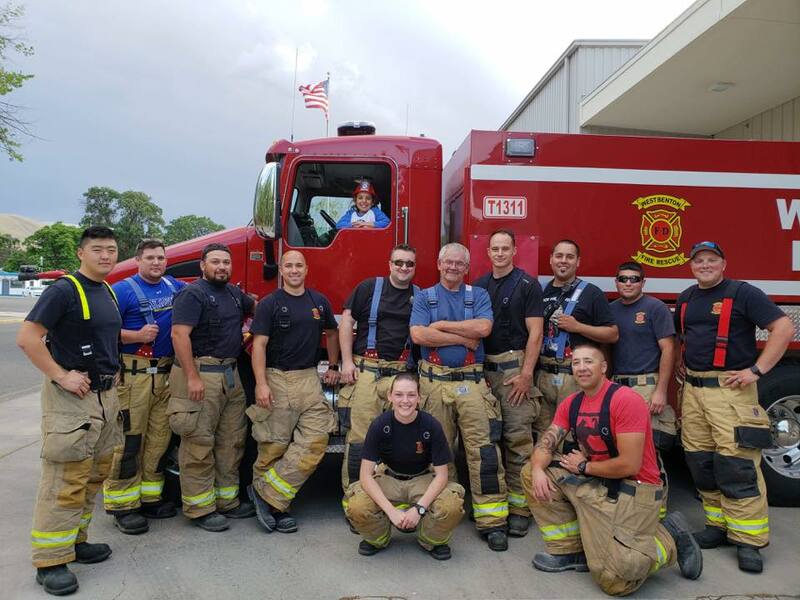 After the completion of initial training, the recruit will train for two to three hours each week on Wednesday evenings to maintain and refine their skills. All initial and ongoing training costs for volunteers are covered by the department. 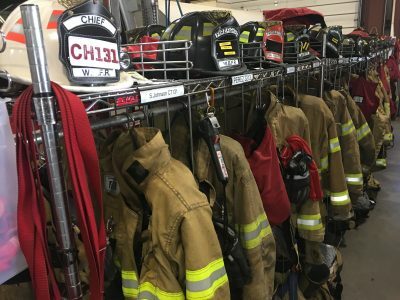 Firefighters in their second year with West Benton Fire Rescue are encouraged to become Emergency Medical Technicians. Costs associated with this class will be reimbursed by WBFR upon successful completion of the course. Firefighters drill regularly at the Training Tower at West Benton Fire Rescue station 310. 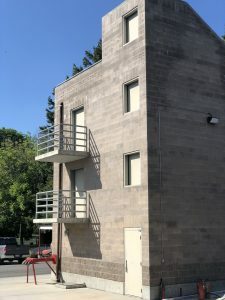 The three-story tower simulates conditions firefighters might encounter in the most common structures (one and two-story homes and mid-rise apartment complexes and buildings.) Simulated smoke can be used to create fire-like conditions throughout the building. Firefighters use the tower for drills on laddering, hose evolutions, search and rescue, fire suppression tactics, forcible entry, firefighter safety and survival, ventilation, ladder operations and many other firefighting disciplines. Training is required by Washington State law, conforms to industry standards and is essential to keeping personnel and the citizens of the Prosser community and surrounding areas safe. 7 out of 10 Firefighters and Emergency Responders are Volunteers! Your community need more volunteers like YOU! We invite you to join a family that’ll always have your back and train you up to serve our community in ways few can. We may even give you our secret chili recipe!